The Woodlands Children’s Museum located on West Panther Creek Drive, is rather deceptive with its name as it is not the kind of museum that you would expect to discover in the majority of places. Instead, this is going to provide your children with so much fun and entertainment as well as advance their education without them even being aware thanks to the level of fun they will be having. The aim of the museum is easy to understand. For the creators, it is all about providing children and their families with the opportunity to install a sense of wanting to discover new things and to expand their ever growing knowledge wherever possible. However, they also say how they expose the children to various cultures and races to help broaden their experiences and to encourage their own growth without limitations. By creating a safe and friendly environment for children to both learn and play, it is believed that it will help them to create more stable and better lives thanks to the building blocks that are being created at such an early age. The Woodlands Children’s Museum has a number of different events and types of entertainment that will keep your children enthralled for a considerable period of time. With a range of workshops throughout the year that focus on items from various countries around the world, such as musical instruments from Africa or experiencing Chinese traditions, your children will have experiences that they will just not believe. However, the range of events are not just restricted to children as it is all about getting the family involved as well. For example, events where families can come in the morning and eat donuts with one another while their child embraces the various toys and items around them makes for a wonderful way to just spend some time together. 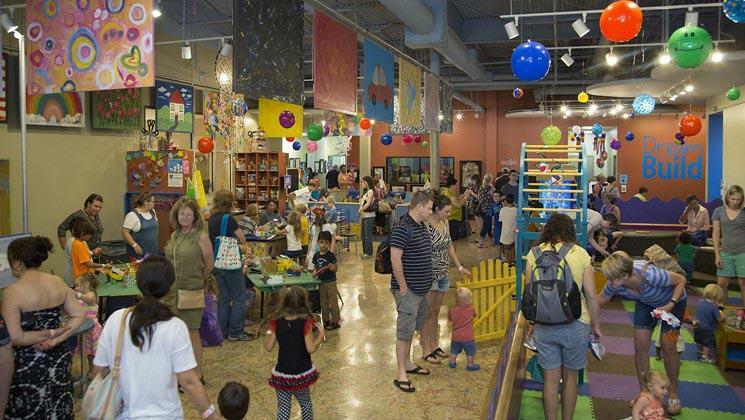 There is no doubt that your entire family is going to enjoy their time spent at The Woodlands Children’s Museum and the hard part will be trying to get your child to go home once again. With events throughout the year, there will always be something to keep them entertained and at least you know that it will always be in a completely safe environment.